At the XXI World Congress on Safety and Health at Work, held in Singapore on 3‑6 September, the European Agency for Safety and Health at Work (EU-OSHA) together with the International Labour Organization present new estimates of the cost of poor occupational safety and health (OSH). 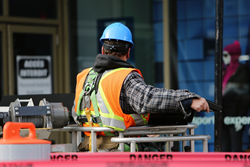 The new findings reveal that worldwide work-related injury and illness result in the loss of 3.9 % of GDP, at an annual cost of roughly €2 680 billion . Work-related ill-health and injury is costing the European Union 3.3 % of its GDP. That’s €476 billion every year which could be saved with the right occupational safety and health strategies, policies and practices. The estimates are findings from a major project on the costs and benefits of OSH. The project was carried out by the International Labour Organization (ILO), the Finnish Ministry of Social Affairs and Health, the Finnish Institute of Occupational Health (FIOH), the WSH Institute in Singapore, the International Commission on Occupational Health (ICOH) and EU-OSHA. Good practice in OSH can help make businesses productive, competitive and sustainable, as well as reducing healthcare costs and other societal burdens. But the costs of poor OSH are high — for individuals, business and society. Through the costs and benefits project, EU-OSHA has taken steps to identify and evaluate the data that is available in the EU and worldwide to develop accurate and up-to-date estimates of the costs of work-related diseases and injuries. Work-related illnesses account for 86 % of all deaths related to work worldwide, and 98 % of those in the EU. 123.3 million DALY (disability-adjusted life years) are lost globally (7.1 million in the EU) as a result of work-related injury and illness. Of these, 67.8 million (3.4 million in the EU) are accounted for by fatalities and 55.5 million (3.7 million in the EU) by disability. In most European countries, work-related cancer accounts for the majority of costs (€119.5 billion or 0.81% of the EU’s GDP), with musculoskeletal disorders being the second largest contributor. A new data visualisation tool, developed by EU-OSHA as part of the project, is also unveiled at the World Congress. It shows the global costs of work-related illnesses and accidents in an accessible way. Key results are presented as infographics, allowing researchers and policy-makers to explore the findings quickly and easily. With transparency and ease of use in mind, the visualisation tool also provides a glossary of frequently used terms, and a guide to the methods used. The World Congress on Safety and Health at Work, the world’s largest gathering of OSH experts and practitioners, presents a great opportunity to disseminate these new findings. EU-OSHA is one of the Congress’s supporting organisations and will be participating in a range of events throughout the four days, providing speakers, participating in workshops and hosting an exhibition stand. In particular, EU-OSHA is co-organising two symposia. One will relate to the costs and benefits project; the other will examine evidence-based good OSH practice in micro and small enterprises, with reference to EU-OSHA’s work in this area and its OiRA (Online interactive Risk Assessment) project. For the conversion from USD to EUR the ECB euro reference exchange rate for 2016 was used.